Been a Porsche fanatic for a number of years- had 1979 924, finally couldn't afford to keep it running, had a 1986 928, same issue. Always wanted a newer one ( in this century) Finally, found one I could afford- a slightly modified 2002 Boxter- apparently one of a kind. Hope to modify it more and hope you all out their can help! You have some nice bits on that Man!!! wowwwww!!!! My dream Boxster would be Like your but in black only, with the tail pipe flush to the bumper, lowered on 19" with the tires kissing the fenders and ditching the rear spoiler. has the IMS been done? "Slightly modified?" - I love it! I'm not sure (actually i am certain) I could pull it off myself, but I love it. You should share some pictures with the new Boxster Outlaws facebook group. Any time you go extreme, there's going to be lovers and haters. If you bring it to a Porsche concours, you’ll be competing in the JC Whitney division. Sorry, just doesn’t appeal to me. At all. Last edited by kjc2050; 11-26-2017 at 08:59 AM. Thanks, I was wondering about the history of the car- it appears I am the second buyer after the mods were done. 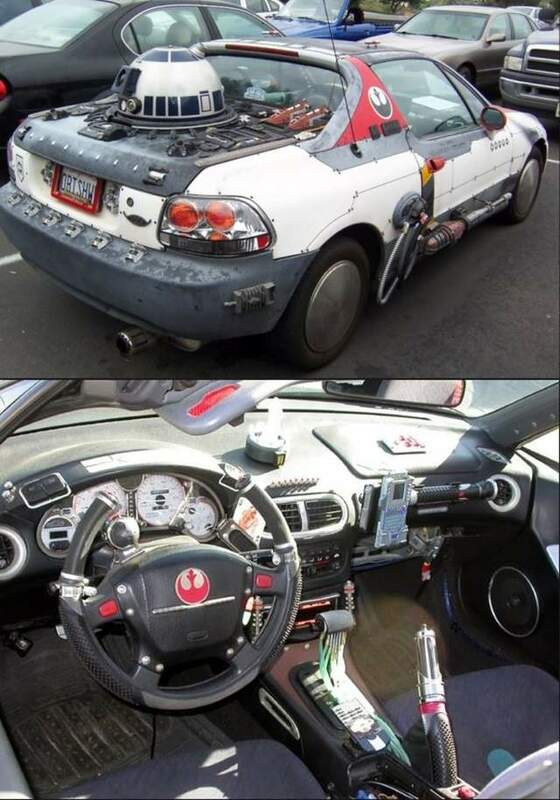 Funny you should say that, the car did not appeal to me at first, but when you see it in person and see that it is one of a kind its pretty cool. Some parts I like, others I don’t. But I really really love the yellow stripe on the rear lid! 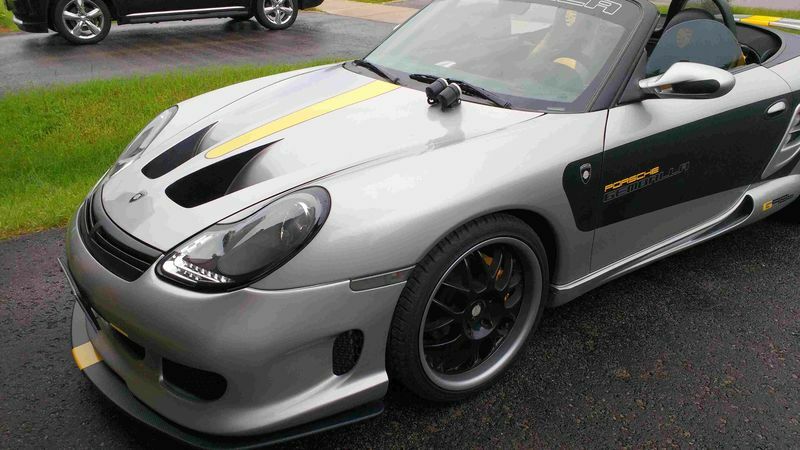 I feel like a more subtle boxster with skirts and the same spoiler with that yellow stripe would look really clean. When I look at my Boxster sitting lonely in the garage, I am consistently struck by the fact that while there are styling aspects in the lines and curves of the car, all the vents and bulges and holes and etc have a purpose for being on that car in that spot. I am reminded of the Fast and Furious. BUT I can go eat doo doo because just because I like Subtle does mean other don't equally like flash. 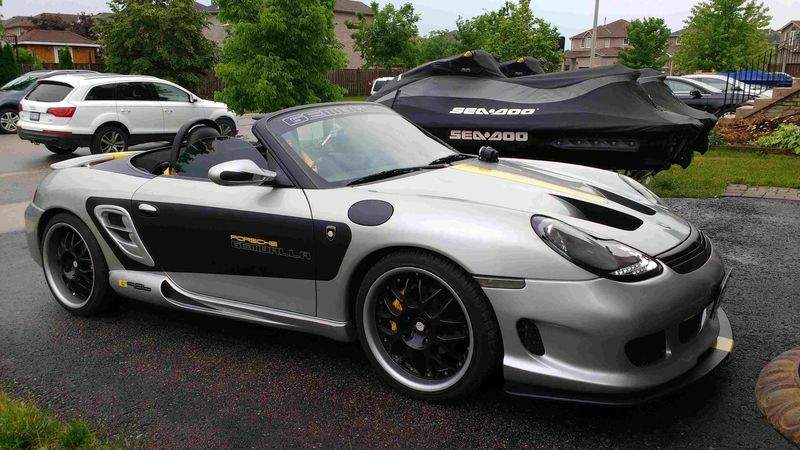 Congrats on a unique Boxster. I’ve seen your car’s pics in various ads on the web. I’m in the subtle column for my own cars but I still appreciate the work that went into this car. Great fit and finish, serious $$$. Looking forward to seeing where you take it from here. Maybe not the car for a Porsche concours, but definitely could hold it’s own at Autorama or hanging with Dom and the gang. Last edited by Oldcarguy; 01-28-2018 at 03:19 AM. 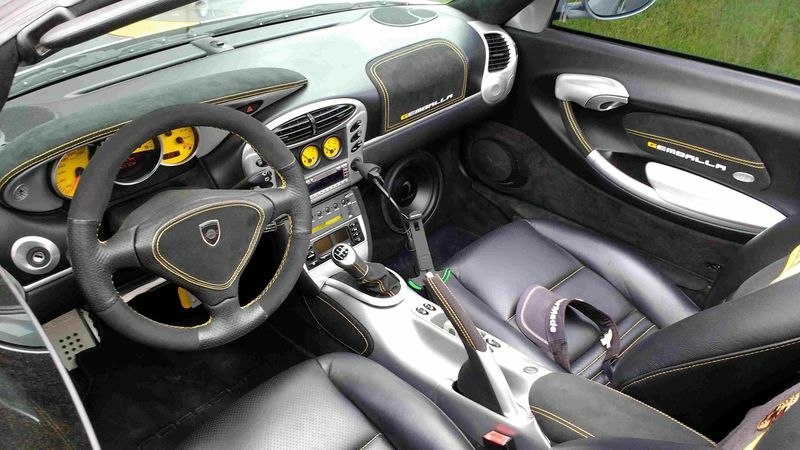 Hm, in general this looks like a Gemballa Boxster GTR 500 Bi-Turbo body kit with some strange mods. 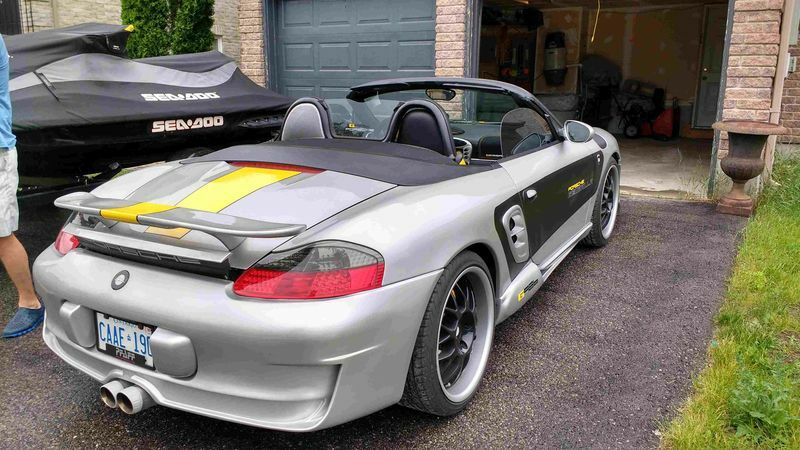 If it would be a real Gemballa Boxster GTR 500 Bi-Turbo it would be a rare car.